We get a lot of people visiting our practice due to Neck Pain. When you have back pain you feel tired frustrated, it is hard to be in the moment, to think clearly and to truly enjoy life. Neck pain is debilitating and often you struggle to do the things you love. Sleeping comfortably, getting out of bed or simply moving around is annoying at best. Neck pain is often debilitating and can make you feel cranky and often you will snap at those you love. Often correcting your neck pain helps those around you (or at least we are often told). Neck pain is very common and has many different causes. Direct causes of mechanical neck pain are rarely identifiable. Most neck issues are functional problems as a result of imbalances in neck support structures. Over time this tends to result in degenerative change that then leads to greater problems with the anatomy itself which can be irreversible depending on presentation. For neck back pain, a thorough diagnosis is important to lay the foundation for appropriate treatment and rehabilitation. Neck pain treatment reduces the likelihood of recurrent flare-ups and helps prevent the development of chronic (longer term) issues. There are lots of reasons why you might have neck pain, there are also many different symptoms with neck pain. 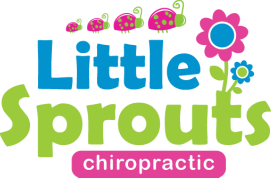 Here at Little Sprouts Chiropractic (yes we see big sprouts too), we will help identify why you have the pain, then we will develop a game plan specific to you, to help you manage your recovery.